Micro-electromechanical systems (MEMS) are miniature devices that combine electrical and mechanical components in order to sense or interact in some way with their surrounding environment. MEMS device types are numerous, but some notable examples include accelerometers in automobile airbags; ink jet printer heads; gyroscopes for mobile phones, portable gaming systems and other “smart” devices; microphones; wireless communication systems; and portable lab-on-a-chip devices. The coming era of the Internet of Things (IoT) will depend in large part on MEMS and sensors that will enable smart devices to interact with the real world. MEMS manufacturers are driving innovation through the production of smaller, higher-performance and lower-cost devices using processes similar to semiconductor manufacturing. 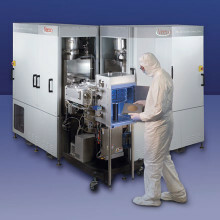 Wafer thinning, for example, is critical to shrinking the size of the packaged MEMS device. Unlike semiconductor manufacturing, however, MEMS manufacturing lacks standardized manufacturing processes. 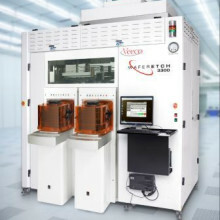 Different MEMS devices have different wafer and photoresist thicknesses, and process equipment must have the flexibility to address these varying requirements. Precise control of the wafer thinning process is essential to ensuring high device yields, while high throughput and low cost of ownership are key to lowering overall manufacturing costs. Veeco’s Precision Surface Processing solutions provide the high flexibility and precision required to address the material removal needs of the MEMS manufacturing industry.